Enjoy a cozy atmosphere for dining on generous home-cooked meals. Savor a real western breakfast with buttermilk pancakes, french toast, and an omelet. Please let your husband know how delicious our meals were and that my youngest ate her biscuits and gravy as we drove to Mount Rushmore! Many thanks for a lovely stay. The food could pass for a 5 star restaurant and you never left hungry. 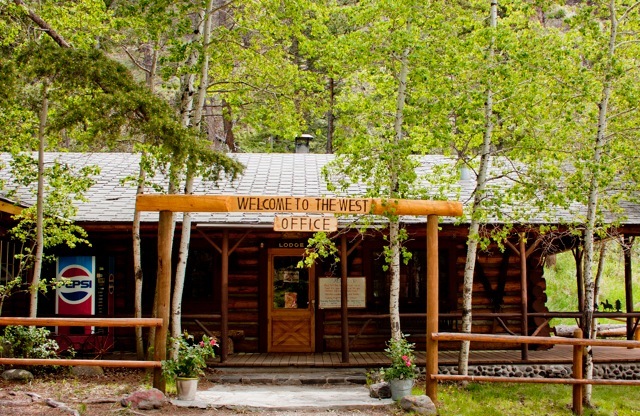 You will be welcomed with real Western hospitality when your family enters our historic Lodge. This is where it all began. 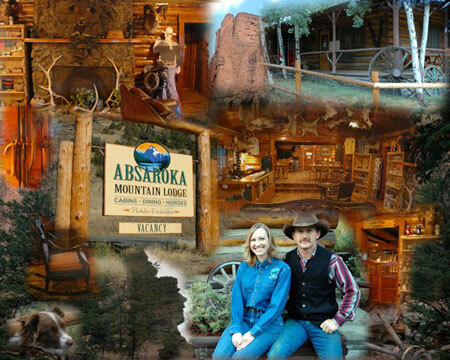 Built in the early 1900’s, Absaroka Mountain Lodge was once owned by Buffalo Bill Cody’s grandson, Fred Garlow. Many of the mounts that decorate the lodge are from his private collection, and some of his descendants still make the town of Cody their home. 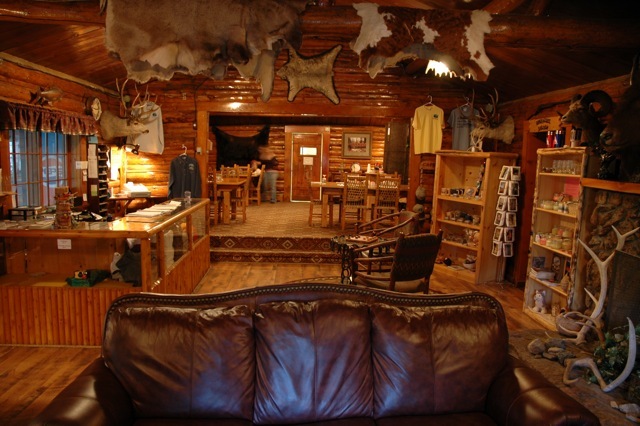 The Lodge building houses our front desk, TV area and restaurant. 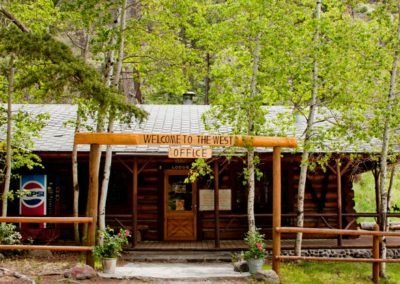 This is where you will come to check in for your cabin or acquire information. It is also the place to be to satisfy your appetite. We serve breakfast from 7am-9:30am every morning, and dinner from 6pm-8pm every evening. 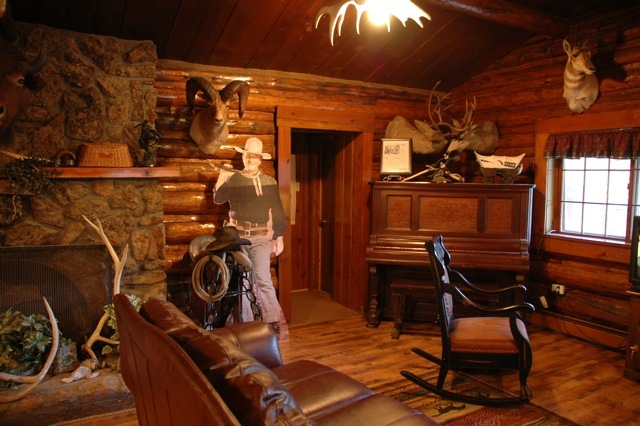 Favorites from our breakfast menu include Cowboy Grub, Saddlebag Stew, & Absaroka Mountain Buffalo Chips. 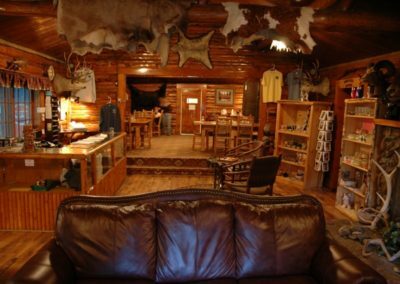 Winners from our dinner menu include Gunbarrel Trout, Top Sirloin Steak, and Apple Pork Chops. Our Fried Chicken is also a top choice with the locals. 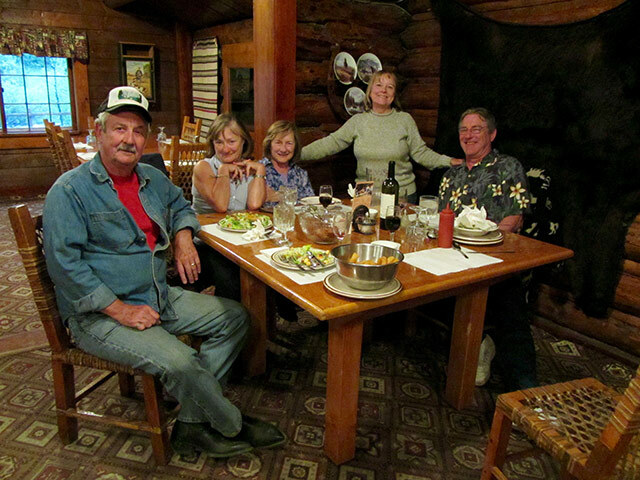 If you hear familiar voices coming from our restaurant kitchen, that’s because the Lodge owners, Kerry and Theresa Boyd, also serve as your cooks! 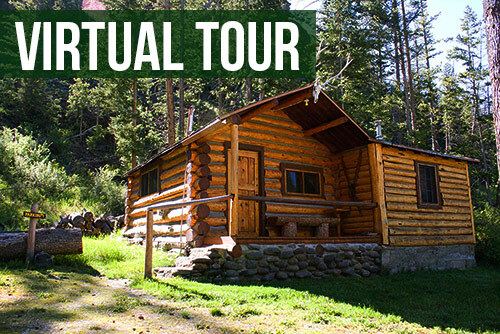 To view pictures and descriptions of our cabins, please see our Cabins and Rates page. Opening day of our 2019 season is May 20th and closing is on October 15th.